The Suspended Hanging Wayfinding Sign is a modular convex sign and display system that has been engineered to be highly versatile. It is designed to be suspended and can accommodate a range of hanging systems. 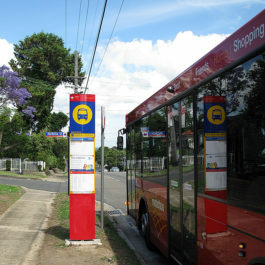 This sign and display system can be easily upgraded with new information, directional signage, or new precinct branding. This wayfinding sign system is made up of individual modules. 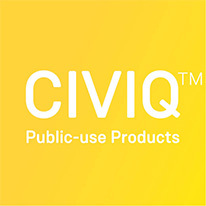 This enables changes to be made to separate information panels as required. 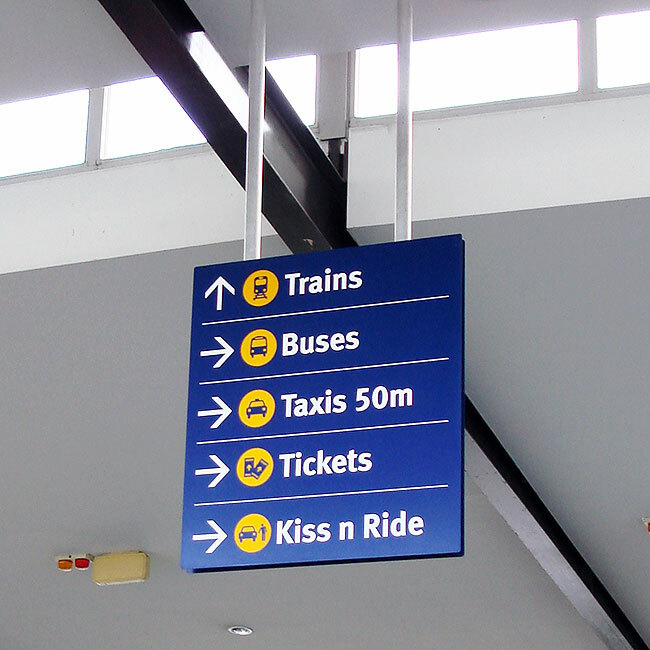 Costs associated with changing information or replacing damaged panels can be significantly reduced with this wayfinding signage system. 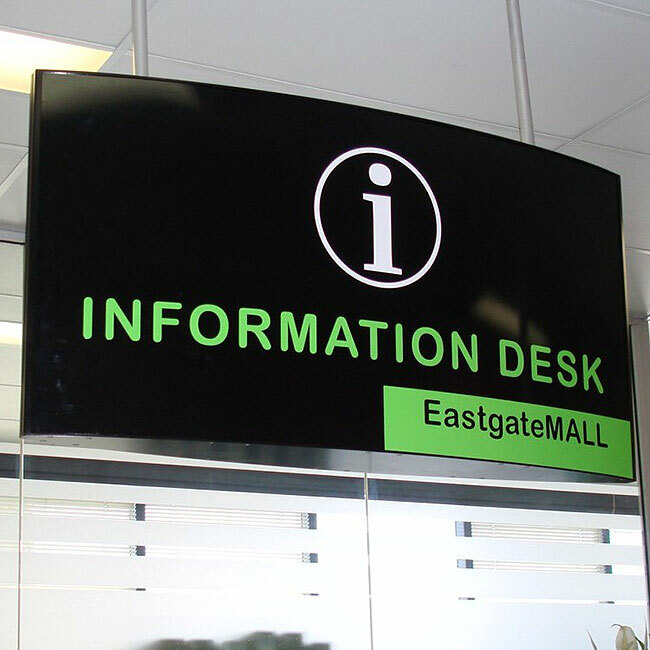 With conventional signage, the entire sign panel component may require replacement if information is updated, or the complete sign structure may require replacement if it is damaged. 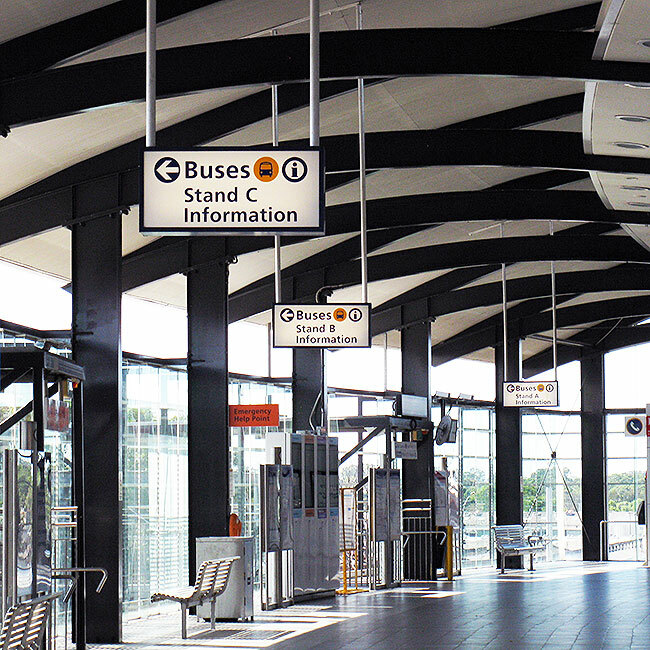 Manufactured using high quality durable materials and finishes, the Suspended Hanging Wayfinding Sign is suitable for both indoor and outdoor environments. They are constructed from marine grade aluminium, offering excellent protection in coastal environments. Industrial anti-graffiti finishes and coatings can be specified to ensure that the signage is kept looking at its optimum throughout its long service life. 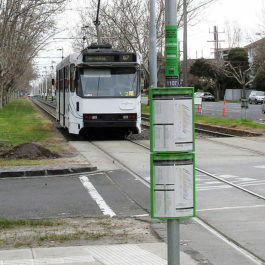 This wayfinding sign system is made up of individual modules that enable changes to be made to separate information panels as required.